Check out if Architecture for Humanity is in The Top 100 NGOs 2013 Edition! 107 structures in construction or development. A non-profit services firm founded in 1999, Architecture For Humanity aspires to build a more sustainable future by leveraging the power of professional design to support communities in need. Originating with two volunteers in San Francisco concerned with the immediate long-term shelter of returning Kosovar refugees, the organization has expanded rapidly to encompass 73 chapters in 25 countries globally. Core to Architecture For Humanity’s work is a commitment to inclusive design that spurs lasting change. At the project level, this is focused on poverty alleviation (access to water, sanitation and power), disaster mitigation and reconstruction, post-conflict community building, reducing environmental footprints, and creating spaces to meet the needs of at-risk populations. 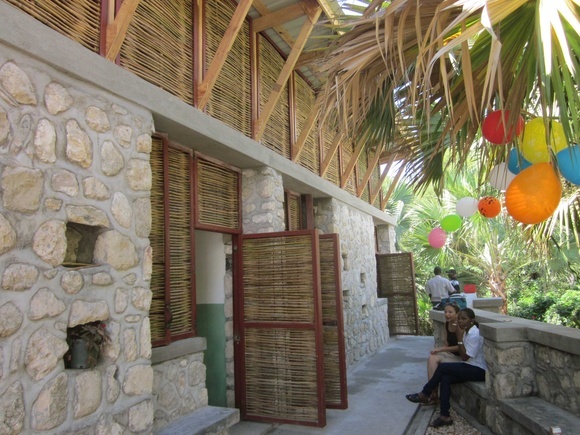 Each year, 25,000 people benefit directly from structures designed by members of the Architecture For Humanity network, ranging from a Slums Information Development and Resource Centre in Nairobi to flood reconstruction in the Sindh Province of Pakistan. Alongside specific projects, Architecture For Humanity also pursues outreach efforts aimed at catalysing innovation in the field of ‘humanitarian design’. Most notably, the organization has developed the ‘Open Architecture Network’ – the first web-based initiative to offer open source access to architectural plans and drawings as a means to foster knowledge sharing across the sector.